Not sure if this is the correct place, but couldn't find anywhere else for it. 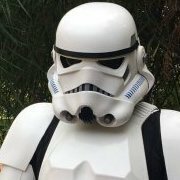 I want to know how, or what is the best (and safest) method to transport your Helmet. I know most people store it in the bins, if there is room, but for Troopers with smaller bins they can't fit the helmet. What cases/bags do others use. I was looking at a couple of Motorcycles helmet cases, but they seem too short (27cm to 30cm heigh). Thanks. Seriously mine fits but you can buy custom bags for them they run pricy but are awesome looking. For a while I had mine in a generic $20 motorcycle helmet bag and it fit fine. I only took it out cause I made room. Word to the wise though the interior was a fuzzy black and got fuzz all over the helmet which stuck with static. You could clean it off but it was getting in between the plastic and HOVI tips so it became hard to get out. I don’t. I just know it was a cheaper generic bag. I got mine from Trooper Bay a couple years ago for $20. I just checked their site but couldn't find any helmet bags, so maybe they stopped selling them. It's just a black bag with white fleece interior made by Dowco. 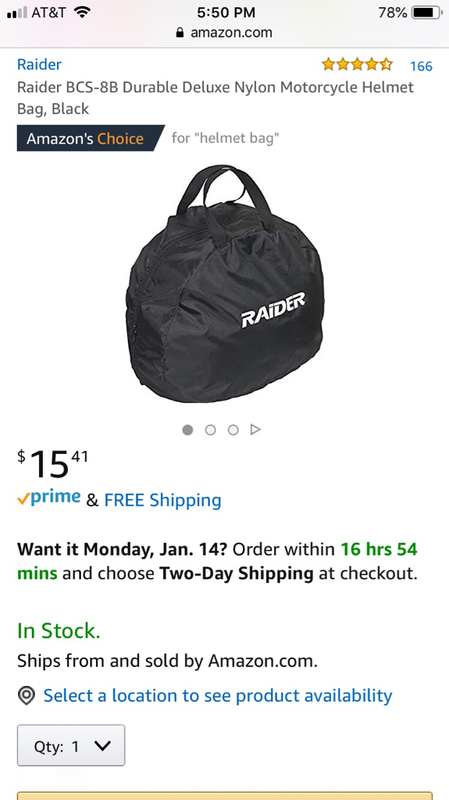 I use the motorcycle helmet bags from amazon. I use padded motorcycle bags, can find sometimes on eBay quite cheaply from time to time. I was thinking about these, but specs say 27cm high or 30cm high, which may be to short. This is what I use. Working great so far (12 troops). Standard for our Garrison's TK. Make sure you order "L" size.